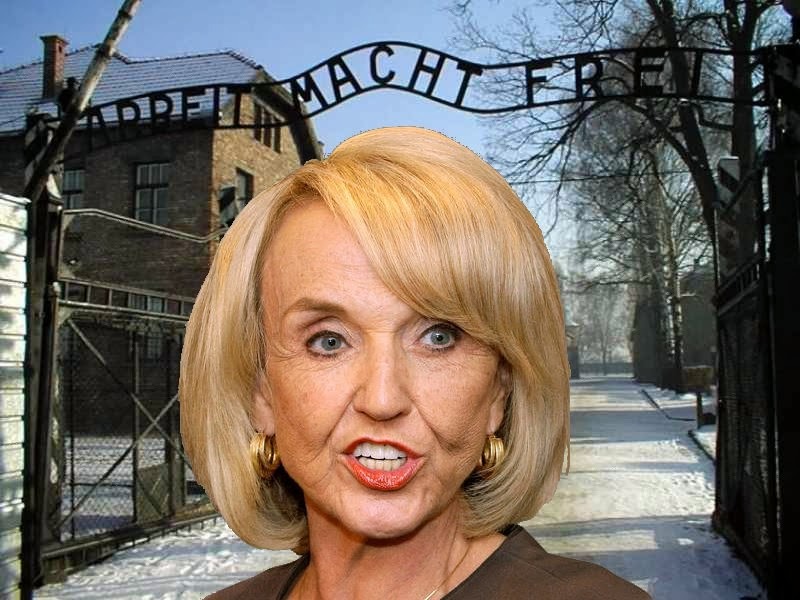 Arizona Governor Introduces New State Constitution to Promote "Uber-Equality"
Republican lawmakers in support of SB1062 argued its merits by citing a case in New Mexico where a photographer was sued for refusing to take wedding pictures of a gay couple. Gov. Brewer said the bill was written to safeguard the mutual welfare of business owners of faith as well as godless homosexuals. Brewer accused Democrats of misrepresenting her state’s legislation in the press for political gain. As part of Arizona’s new “uber-equality” initiative, Brewer has coordinated closely with redevelopment and census experts to create a series of special communities for every class of tax-paying citizen in the state. Beginning in 2015, Arizona will launch a series of planned communities, or camps, based on specific concentrations of races, ethnicities, sexual orientations and religions. The state’s Department of Transportation will offer free train service to each camp. Members within a concentration will receive unique identity badges that grant them secure access to their camps. Gov. Brewer also presented the first draft of a complete overhaul to the state’s constitution. A complete list of newly outlawed actions can be accessed at this link. Following are highlights of legal violations contained in the reformed state constitution. All of these offenses are punishable by imprisonment and/or fine. In some cases, as noted, the death penalty applies. Practicing divination, astrology, psychic readings, etc.